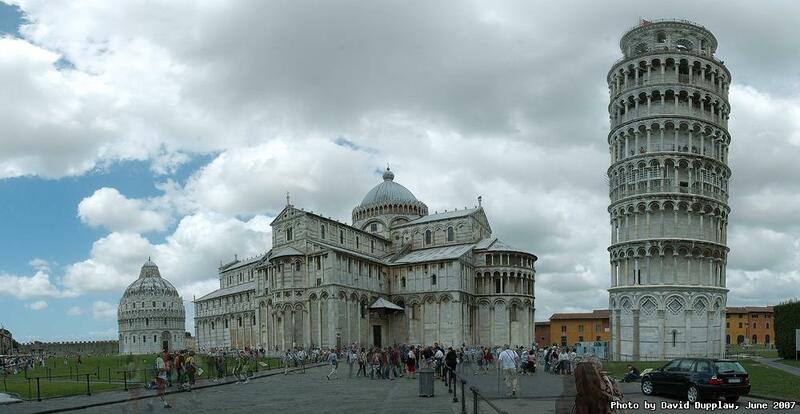 The Square of Miracles in Pisa, showing the baptistry, the cathedral and the famous Leaning Tower. It also shows some of the many many tourists. This is an 8-photo panorama stitched together using AutoStitch.